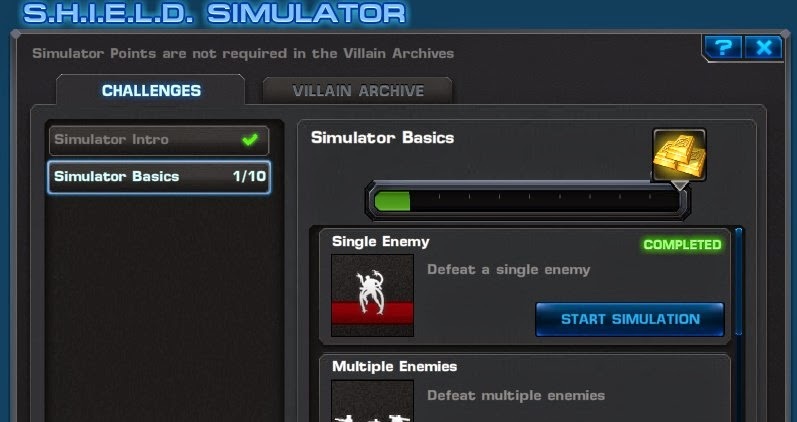 A new feature has been launch alongside Chapter 5 called The S.H.I.E.L.D. Simulator. This is a training and simulation area where players can attempt new challenges or fight specific villains whenever they'd like! S.H.I.E.L.D. Simulator is broken up into two areas. it is still locked for me, how do i unlock? any methods in defeating the 9 enemies? @khantotantraUse Volstagg and Fandral, also equip Elixir of Recovery. 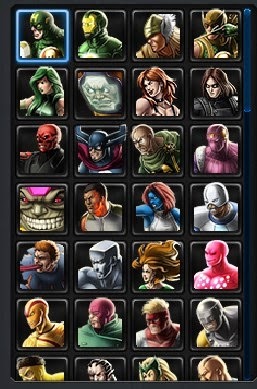 These heroes helped me to defeat the 9 enemies, even though with the low level of health at the end of battle. How to complete 10 no. fight in simulator mode. beat electra using Iron Fist, his #4 and his combo breaker are key and he can heal and remove all dots and other negative effects she puts on you. and getting to go first is key too with Iron Fist, 2nd round you can use his #2 attack she will be at 50% or less at this point. Whats the quest area. I've just started on the newest spec ops and i need to defeat venom in the villian archive. Does this mean i have to beat him in the simulator? Completed all the basics, how do I unlock the quests? "Shanna Training"?